There's a lot at stake in the recent Iran nuclear deal. 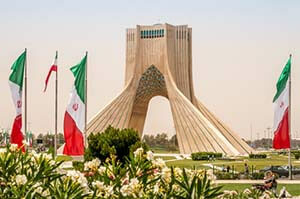 In this deal, Tehran is looking for sanctions relief. The West is willing to oblige. That is, if the Iranian leadership relinquishes a large stockpile of enriched uranium, eliminates a large number of centrifuges, limits enrichment capacity, and submits to invasive inspections by the International Atomic Energy Agency. A failure of this Iran nuclear deal wouldn't just cause hard feelings. Nor would a failure necessarily mean Iran is prepared to enrich uranium to weapons-grade potential. The United States can stomach the hard feelings – those aren't new to policymakers in Washington. They have colored the relationship since the hostage crisis in 1979. And as far as the recent Iran nuclear deal unraveling in such a way that it emboldens Tehran to follow North Korea's lead – rebuffing the IAEA, refusing inspections, abandoning nonproliferation agreements, and building a bomb – the international community still hasn't produced the kind of airtight, smoking gun case to prove Iran wants to do this. No, what the United States should fear is the dollar. A breakdown of this Iran nuclear deal could affect the global economy, oil markets, and U.S. dollar hegemony. We've seen what punishing international sanctions and dollar warfare can do to a disgruntled regime. In 1991, the United Nations Security Council, chiefly at the behest of the United States and the UK, passed Resolution 687. This resolution demanded that Iraqi President Saddam Hussein dismantle his weapons programs. The punishment for the alleged non-compliance to follow was crushing international sanctions responsible for the degradation of Iraqi infrastructure and society. The UN attempted to provide sanctions relief while still disarming Hussein with the Oil-for-Food Programme. Hussein looked to use this program as a vehicle for mounting an attack on the U.S. dollar. "The regime of Saddam Hussein sought to take the dollar away as the sole vehicle on which oil was traded and, under Oil-for-Food, mandated that a certain amount of the oil transactions be done using the euro," Scott Ritter, former UN chief weapons inspector, told Money Morning. The dollar assault was short-lived. The United States eventually invaded Iraq anyway in March 2003. While Hussein couldn't take down the dollar, it sent an important message about U.S.-led international sanctions regimes. Namely, they chase smaller countries into the arms of the dollar's much bigger adversaries, such as Russia and China. And this builds a much larger, international consensus in opposition to the dollar. Let them kill the dollar, we should get out of the economic race anyway. It is time to reconsider how we Americans structure ourselves. I think the Verus Finis Project is the key to our survival as a human race and the planet.